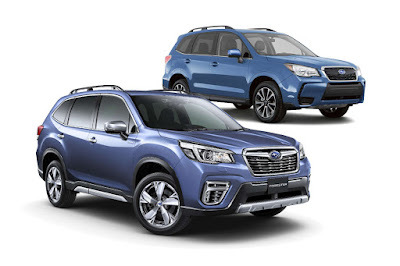 Well, your forced-induction prayers have been answered because Subaru’s distributor, Motor Image, has confirmed that for the time being, the previous-generation Forester XT will be sold alongside its newer, fancier sibling. The Forester XT soldiers on for this model year (or at least until supplies last) with, get this, a price equal to the top-of-the-line 2019 2.0i-S EyeSight. For those with poor memory, that’s P 1,798,000 or a freakin’ P 250,000 discount from its list price of P 2,048,000. Okay, so you don’t get the Subaru Global Platform and you don’t get the EyeSight driver assistive system too, but you do get an engine that’ll satisfy any adolescent urge: a turbocharged 2.0-liter flat-4 making 241 horsepower and 350 Nm of torque. Oh, and you also get stuff like a curb camera, and a Harman-Kardon sound system which aren’t standard on the 2019 model. So there you have it. Whether you fancy a powerful but older ride or a future-proof but slower Forester, Subaru’s got you covered. We have 2 Subaru Forester XTs in the family. My 2012 XT and my mom’s 2015 XT. Mine is already at 80k+ km but still going strong, no turbo failure. My mom’s XT suffered a brake light switch failure, but that’s about it. Maybe you got a lemon unit? As for customer service, never had any problems encountered. Subaru GH is our go-to casa. My newly purchased 2018 Subaru XT last december encountered problem after running 300km. I was informed that the VDC [Vehicle Dynamic Control] is defective. Its been 2 months now but no progress of the needed repair. I regret buying this brand. My VW Golf is much much better. Already reached 1 year and only 1 maintenance done for the first 10Km. Next maintenance is for 25Km.